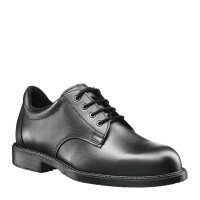 The HAIX Office Leather is a modern work shoe with very good moisture absorption properties. It is particularly suitable for police officers who work long hours in the office. Your feet will remain fresh and comfortable, even after many hours. But, if you are called to go outside on duty, you will also need a shoe which will not let you down. 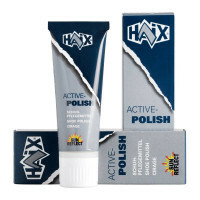 The HAIX Office Leather has been hydrophobised and thus rendered water repellent. At the same time, it is also highly breathable and moisture absorbent. Police officers also spend a lot of time on their feet. The sole of the HAIX Office Leather provides you with all the safety you require whilst out on duty. It is antistatic, abrasion resistant, anti-slip and also resistant against petrol. Shoes worn in the office need to look smart and to offer your feet the very best climate comfort. The HAIX Office Leather is an elegant option which will leave your feet feeling pleasantly fresh, even after long hours at work. The material used in the manufacture of the shoe is highly breathable. A fast-drying inlay sole guarantees very effective absorption of moisture and can be removed and washed if required. The fleece insole incorporated into the footbed also helps to absorb sweat. Special pigments in the leather reflect the sun’s rays. This means that less heat is transported to the feet and prevents any overheating. All of this makes the HAIX Office Leather a highly practical workwear choice for police officers. The HAIX Office Leather will not leave you in the lurch when you are required to work outside. The smooth leather used in its manufacture has been hydrophobised, i.e. chemically treated so as to be water repellent. No rain or mud can penetrate. The rubber sole of the HAIX Office Leather has anti-static properties as well as being abrasion and slip resistant. This enables you to move comfortably across any road surface. It will also protect your feet against liquids such as petrol and oil. After all, police officers are never sure what they will encounter. If you need to enter any private homes in the course of your work, the black sole of the HAIX Office Leather offers the additional benefit of being colour fast. It will not leave any ugly dark marks on light-coloured floors, carpets or tiles. The HAIX Office Leather is manufactured in high quality aniline leather which has been hydrophobised and thus rendered watertight. 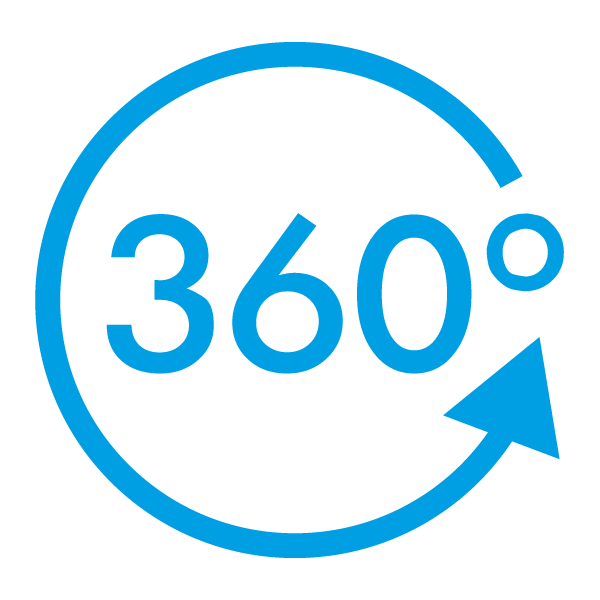 Nevertheless, the material remains extremely breathable and allows sweat to evaporate and be expelled. Special pigments prevent any overheating caused by the sun’s rays. This means that less warmth is transported to your feet. The HAIX Office Leather has a soft leather inner lining which is both water repellent and highly breathable. An anatomically formed and rapidly drying insole guarantees outstanding absorption of moisture. The inlay can be removed and washed if required. The shoe also contains an absorbent fleece insole, whilst a padded cuff prevents any rubbing in the heel area. The sole of the HAIX Office Leather features an abrasion-resistant and anti-slip tread. It is also heat resistant up to a temperature of 300° C and provides very good insulation against cold and heat alike. The sole is antistatic and resistant against petrol and oil. It is also colour fast and leaves no unsightly black marks on light-coloured surfaces. The waterproof HAIX Office Leather provides police officers with the support they need as they go about their daily work. This is a shoe which offers excellent moisture absorption properties. 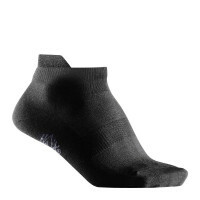 It is also extremely fast drying and will ensure that your feet remain fresh and comfortable for many hours. All of this is due to a material which is both water repellent and at the same time highly breathable. This enables sweat to evaporate away. Discover the benefits of this elegant anti-slip office shoe for yourself!